Amazing Kids! 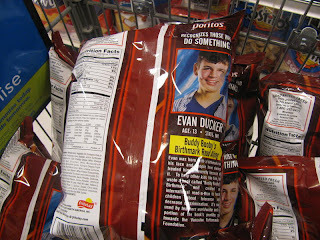 – Amazing Evan Ducker on Doritos Bags and Jonas Brothers Website!!! Congratulations to Amazing Kid! Evan Ducker, age 15 (our November 2008 Amazing Kid! of the Month)! 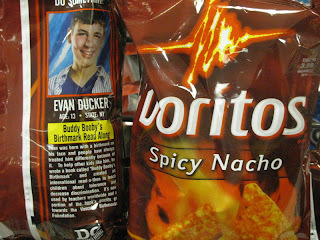 Evan Ducker, along with his “International Buddy Booby’s Birthmark Read-Along for Tolerance and Awareness” project and book, is currently featured on 44 million Doritos bags, available NOW in grocery stores across the country!!! The promotion is part of the “Do Something” campaign — which named Evan one of the “Top 12 Youth World Changers” in 2009! Your friends at Amazing Kids!